There is more to being French that speaking the language or attempting to wear a beret. (Word of caution on the latter: Just don’t.) You must possess the ability to somehow make jeans and a simple (striped) tee look so cool it hurts, the power to show up at an event barefaced and still turn heads. It’s safe to say that we brash, worldly Americans are obsessed with the French ingénue—her style, her skin, her choice of carbs (ILY, baguettes), and, perhaps most obsessively, her hair. “French-girl hair” has become an idea in and of itself, describing an artfully rumpled head of hair that appears to have magically air-dried to a soft, wavy mass—no texture spray required. Though we fully realize we’re this close to exhausting the subject (kidding, we passed that point long ago), we still. Want. More. More tips, more products, more advice—anything to help us get a little closer to understanding that textured head of hair that is, as one wise movie character once put it, full of secrets. On this never-ending quest, we interviewed two experts to help us better understand the French way of haircare. One is world-renowned French colorist Christophe Robin, who rose to prominence after becoming actress Catherine Deneuve’s go-to—and has since worked with every chic French actress and model under the sun. Another is a real-life French girl named Rachel Jucaud, who willingly endured our beseeching questions and gave us a glimpse into her everyday hair routine. With these two on our side, the French way of haircare seems ever so slightly more within reach. Heads up: It’s time to say au revoir to your straightener. Keep scrolling to find out seven French hair secrets! When we asked Robin what he thought was the biggest difference between how French women care for their hair versus how American women do, his answer surprised us: It wasn’t a specific hairstyling technique but rather the act of choosing a hair color itself. Namely, French women prefer natural-looking color that suits their complexion and eye color, and they always, always go for the lowest maintenance shades. “They do not want to be trapped in always having to touch up their roots,” Robin says. “In France, a lot of brunettes, when they go lighter, won’t go blond from the roots but will layer blond only at the ends. “French girls are not scared to cut their hair,” Robin states matter-of-factly. “They’ll do anything to keep their hair quality.” He points to French muses like Inès de la Fressange or Laetitia Casta, but it seems the average French woman also follows this mind-set, too—Jucaud also says she’s not afraid to cut her hair. “I try to keep my hair as healthy as possible by cutting it just a bit, but often,” she tells us. “When you have healthy hair, any style looks better.” Word (or should we say oui). French women embrace their natural hair texture—whether it’s stick-straight, wavy, or of the corkscrew variety. This means most will regard heat tools as totally unnecessary. Jucaud told us she uses a straightener as little as possible because she thinks it damages her hair. Robin says his clients will sometimes straighten their hair when desperately needed, but never to risk the long-term quality of their hair. “They accept their natural texture, and they try to bring the best out of it,” he says. Think of your hair like your favorite cashmere sweater. You wouldn’t just throw it in the wash every time after wearing it, right? In the same way, French women tend to choose gentler, natural-based products free of silicones and sulfates to cleanse and treat their hair. 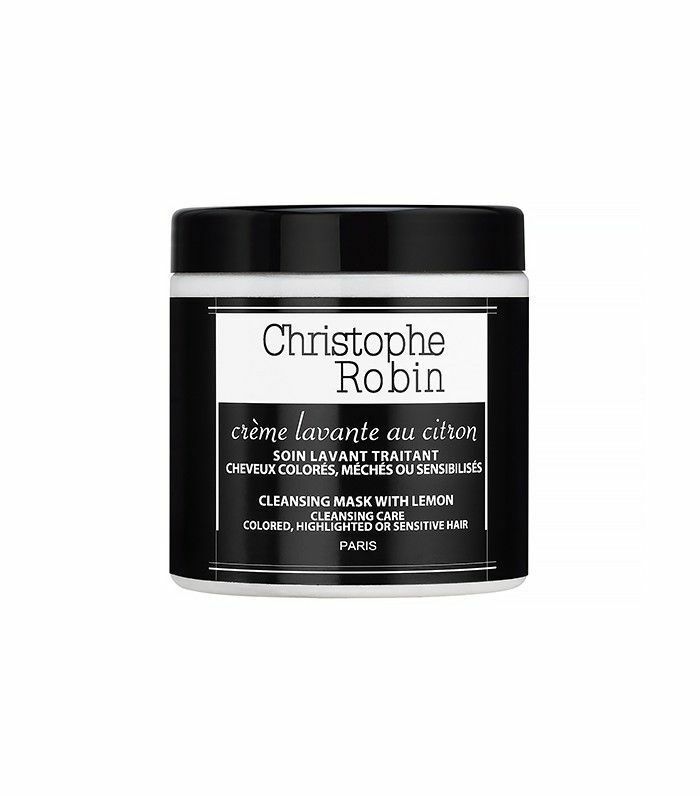 Robin says his clients like his line’s Cleansing Mask With Lemon ($50), which boasts a 20-year-old formula that’s never been changed and was one of the first-ever non-lathering shampoos. “It takes a little effort, but it keeps the hair color intact, nourishing the hair and scalp,” he promises. 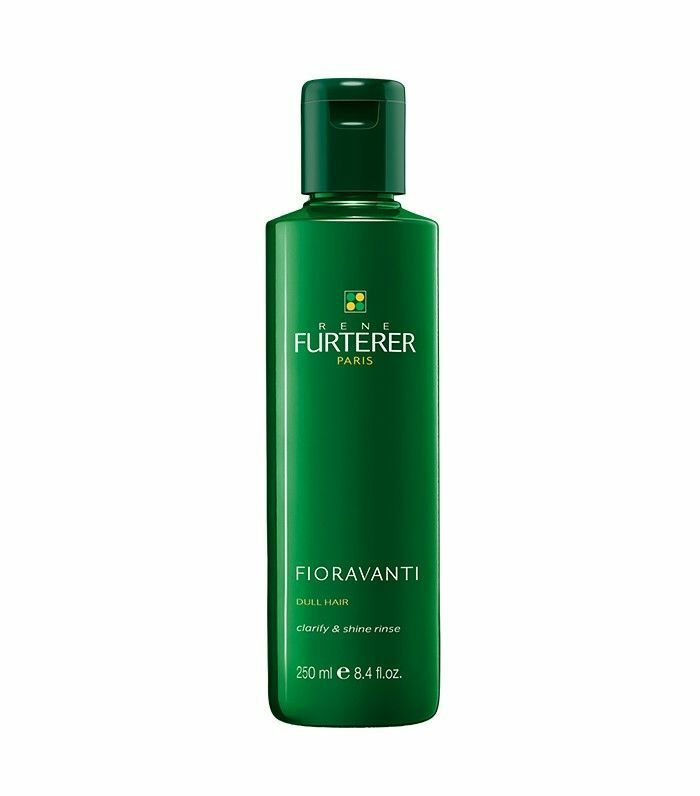 Jucaud tells us she swears by René Furterer’s Fioravanti Clarify and Shine Rinse ($27): “The line is expensive, but they are very efficient products and natural,” she says. To help your hair become really, really French, you need to realize that what you leave in your hair is the secret to that soft, lived-in, Jeanne Damas–worthy look. Jucaud tells us her secret routine when she’s short on time: wash her hair, apply leave-in conditioner, rough-dry her roots with her fingers, then wrap her strands loosely in a bun. “Then I just go to work or wherever I’m supposed to be and release my hair before I get there when it’s dry,” she reveals. “This gives me beautiful waves without any effort.” She tells us she never—we repeat never—leaves her strands bare post-shower. Leave-in conditioner or some sort of light, smoothing product is always involved (she swears by Kérastase’s Nectar Thermique Cream, $26, which “does not feel oily or heavy” in her hair). 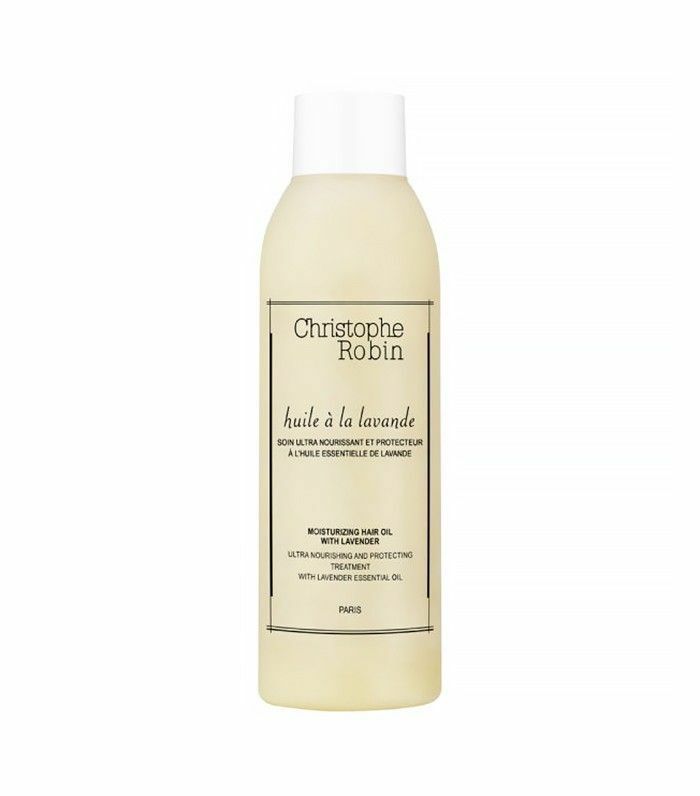 Robin has a product, his Moisturizing Hair Oil With Lavender ($46), that he says helps your strands avoid breakage, maintains the color, and keeps the natural lipidic film that protects your strands; it can also be used as an overnight leave-in treatment. When we mentioned to Robin that French women seem to spend less time on their hair than American women do, he pointed out an interesting point. French women prep their hair during the weekend so they can spend less time on it during the week—which makes perfect sense to us. On a typical Saturday or Sunday, his clients will sleep with an overnight oil treatment, rinse it out in the morning (with a non-lathering shampoo, of course), then apply another mask. Afterward, they’ll rinse everything out, spritz their strands with a hair tonic or light leave-in treatment, then bask in their healthy, happy strands for the next few days—three to four, to be exact. So treat your hair during the weekend so you can be super lazy during the week. Genius. Congratulations! Your hair is now really, really French. Now check out the nine beauty rules French women always follow.